If anyone knows how to make holiday entertaining effortless, it’s Ina Garten, host of Barefoot Contessa on the Food Network and author of nine cookbooks. 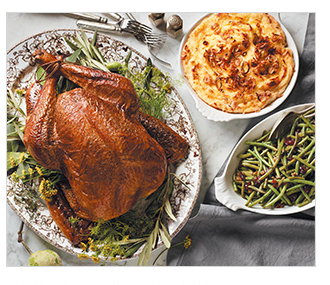 Join us as we prepare some of our favorite Barefoot Contessa recipes that are perfect for your holiday gatherings. We’ll also share some of Ina’s smart strategies from her newest cookbook, Make It Ahead. Ring in the New Year with festive cocktails, savory appetizers and sweet treats, all simple to prepare in advance. Learn how to throw an elegant New Year’s Eve party that will keep your guests happy while they wait for the clock to strike midnight.